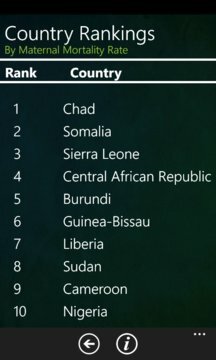 Country Rankings are based on data from Factbook data fields as of 21 April 2013. 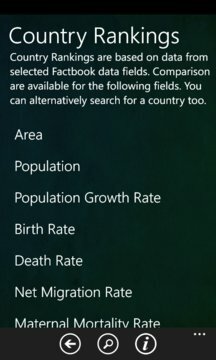 Country Rankings are given in descending order - highest to lowest - such as Population and Area. The two exceptions are Unemployment Rate and Inflation Rate, which are in ascending - lowest to highest - order. The Information is base on "The World Factbook"